The “pop-rock” label doesn’t really do justice to Staircase Spirits. For what is often considered a vapid and throwaway genre, there’s plenty about this duo that’s anything but. For one, both vocalist Anna Acosta and drummer Eva Friedman represent the queer community, which is a scarcity in pop-rock as it is, but there’s a sense of depth and personal struggle in their work that further sets them apart. Love Stories represents the closing chapter of this current story, their third EP this year that sees the duo powering through the adversity that has afflicted their last two releases for something more staunch and defiant. It’s why a lot of the traditional pop-rock framework is stripped away for something meatier and grittier; power chords and sunny melodies are gone, and in their place stands the tense, scratchy guitars of Lullaby, or the rougher, Alanis Morissette-esque banger Zach’s Song. The twee folk-pop of closer That Night might be something of an anomaly, but in terms of a more strident, unconventional melody, it fits right in line with everything this EP has to offer. What’s more, That Night serves as the ideal endpoint to round of the arc of this EP, seeing Acosta finally reaching the light at the end of the tunnel after breaking out of an abusive relationship as detailed on California Winter, and progressing to that point of happiness once again. Even as a self-contained narrative without the peripheral factors of their other EPs, Love Stories has a remarkable sense of closure, letting the words propel and breathe amongst the music rather than the other way around, and it lends this EP a weight that, again, is a rarity in pop-rock. And even if they don’t always totally click musically – the steadier pace of Skyline that never really evolves is a prime example – there’s a lot to like here regardless, not only as a band willing to bend the typical parameters of their genre but while delivering a solid, fleshed-out narrative in the process. Staircase Spirits are a rare case of a new band who already seem to have a firm grasp on where they want to go, and if they can continue to pull off material of this calibre going forward, then more power to them. 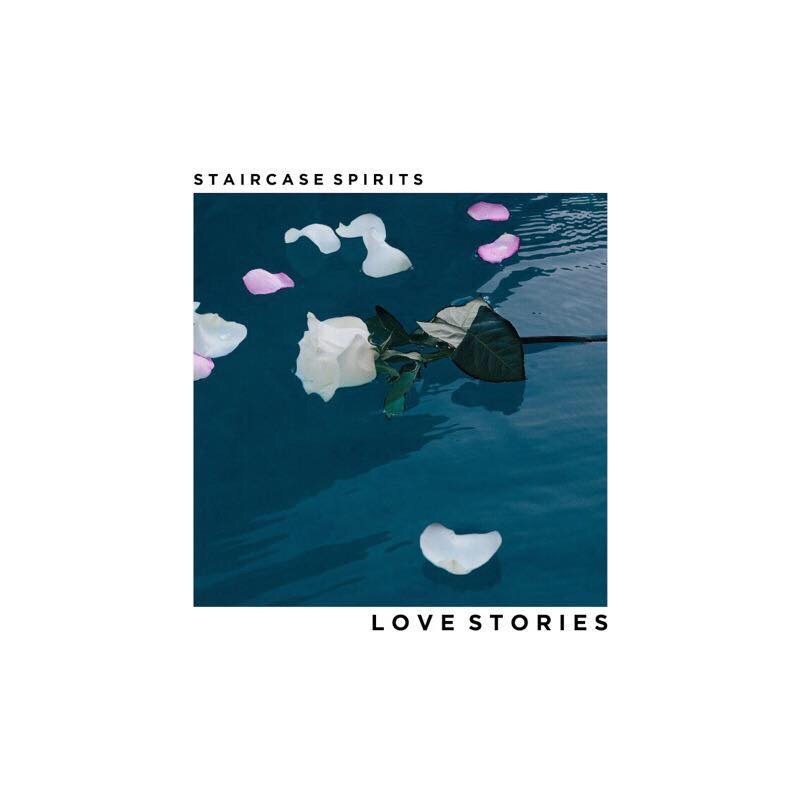 ‘Love Stories’ by Staircase Spirits is released on 8th December.